It has been another week without rain and several more 95°F days have pushed some plants over the brink, including a Phlox paniculata ‘David’ I bought in May. ‘David’ is a sophisticated white phlox that grew well in my former garden and I have been trying for years to establish it here. Seeing its sad state spurred me to water the entire garden thoroughly Thursday evening, but the effort was too late to save that new phlox I think. Meanwhile pinkish things are blooming and thriving. 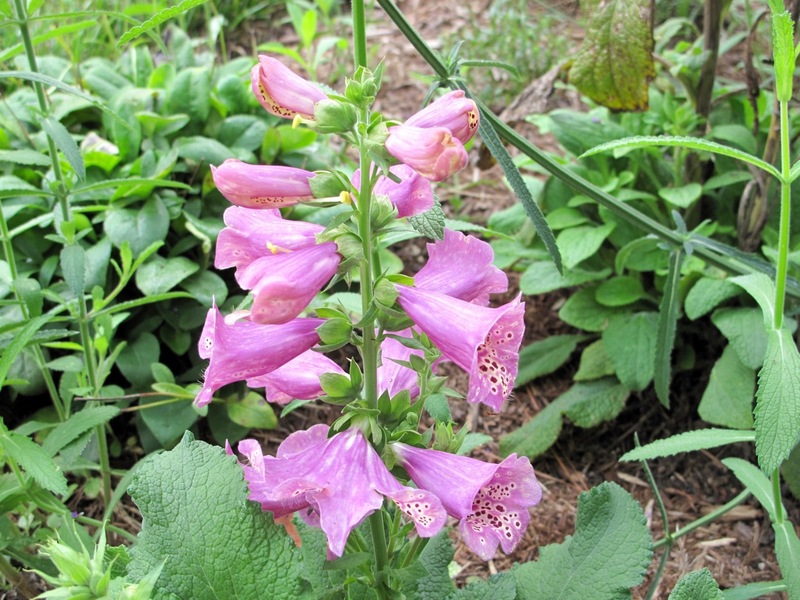 Purchased the end of April, this stubby foxglove may have been mislabeled as Digitalis purpurea ‘Camelot Rose.’ It is supposed to be 35-47 inches (90-120 cm) but while attractive, it is more like 12 inches tall. ‘Camelot Rose’ flowers in its first and second year. This one is finally blooming many weeks later than another variety in the same border. Maybe it will achieve its true height in the second year. 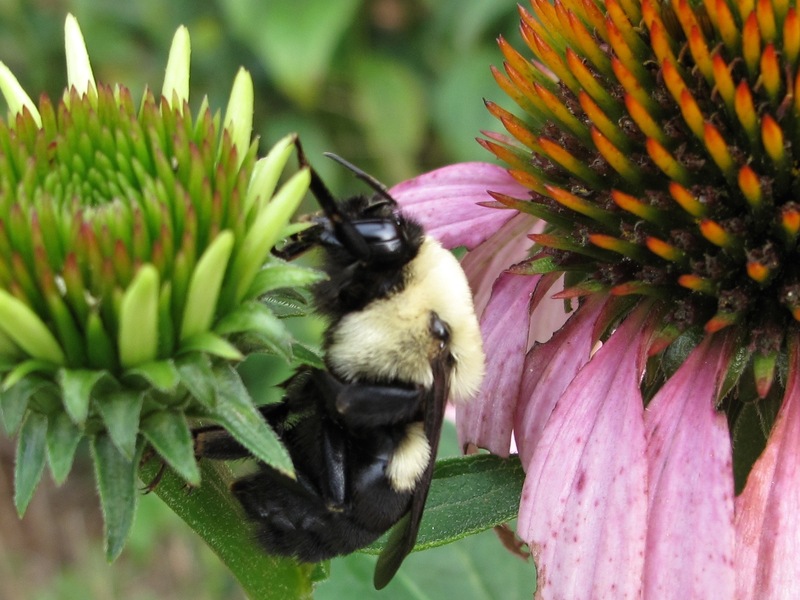 Echinacea purpurea (Purple Coneflower) is attracting lots of bees. I have begun deadheading some of it, but the best bee photos always seem to be those where the flower has faded. At least one flower looks fresh. 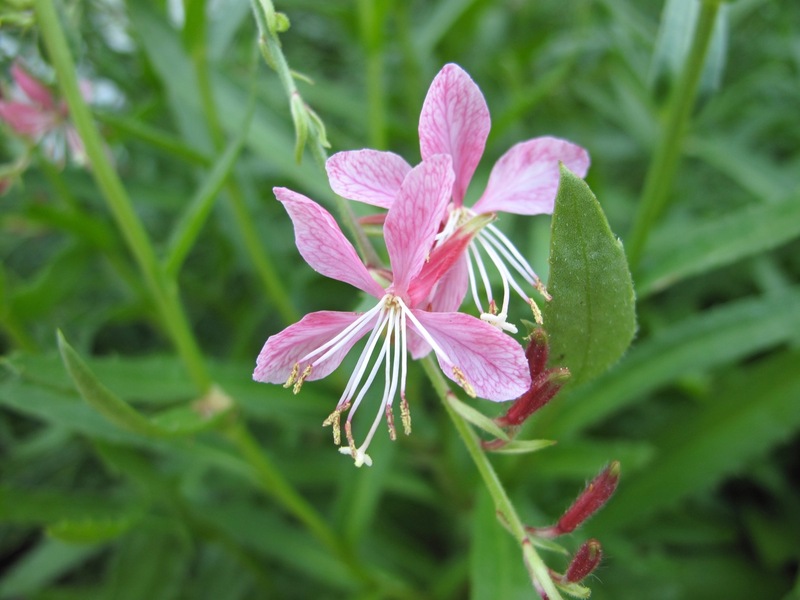 Gaura lindheimeri ‘Passionate Blush’ is looking better than it has in years. Although I cut it back, it is still flopping but at least this summer it is blooming. 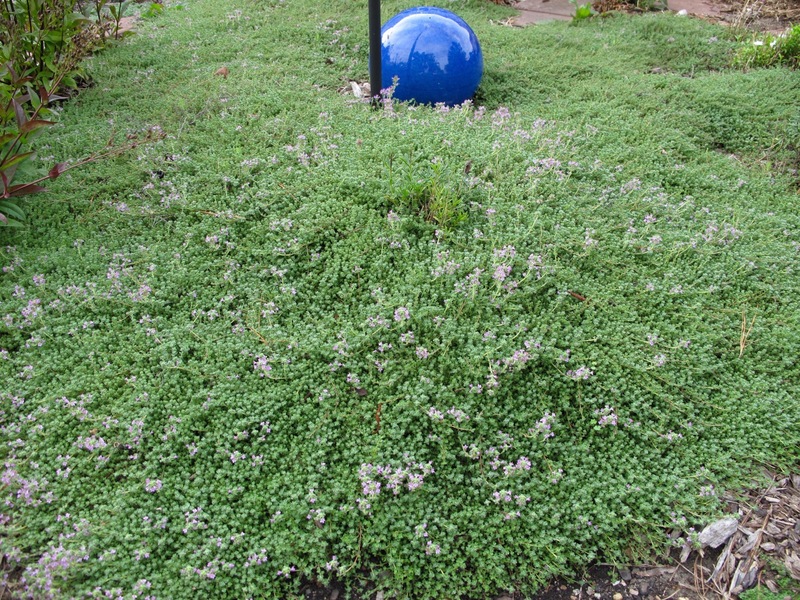 When I could not find my preferred blue Angelonia this spring to use as the meditation labyrinth’s walls, I ended up using some lavender and some darker shades of pink on one side of the circle. I think Angelonia angustifolia ‘Archangel Dark Rose’ is on the left below and ‘Raspberry’ is on the right. 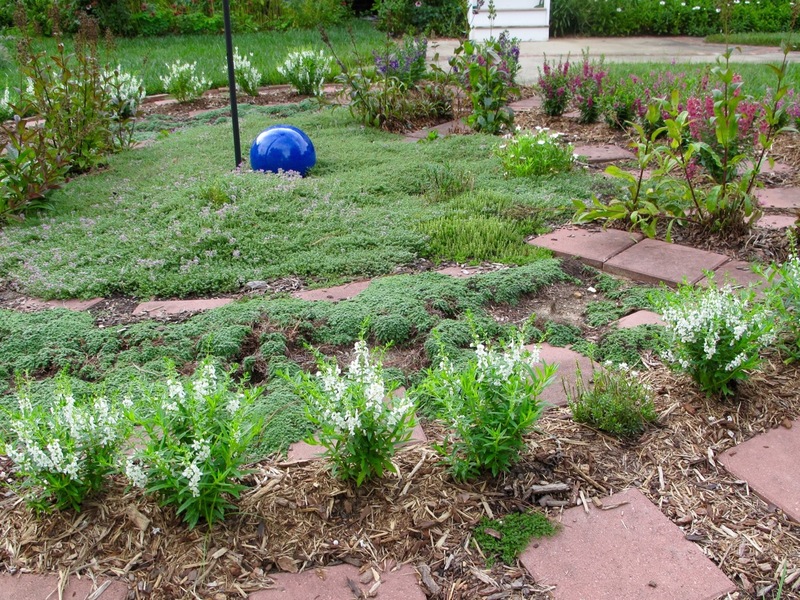 Most of the outer wall of the meditation circle is actually planted in white, specifically Angelonia ’Serena White.’ Hot temperatures arrived in late spring before the young plants had time to get established, but with judicious water they have filled in nicely and finally are acclimated after many weeks. Not everything in the garden is pink. This morning I was thrilled to see this Iris domestica (Blackberry Lily) in flower. I had wanted to add Blackberry Lily to the garden for years and finally came across one in April at my favorite garden center. Then, when I was cutting back iris leaves a few weeks ago, I trimmed its foliage back accidentally. I assumed I had lost the chance of seeing it bloom this year, so spotting this orange color today was a nice surprise. 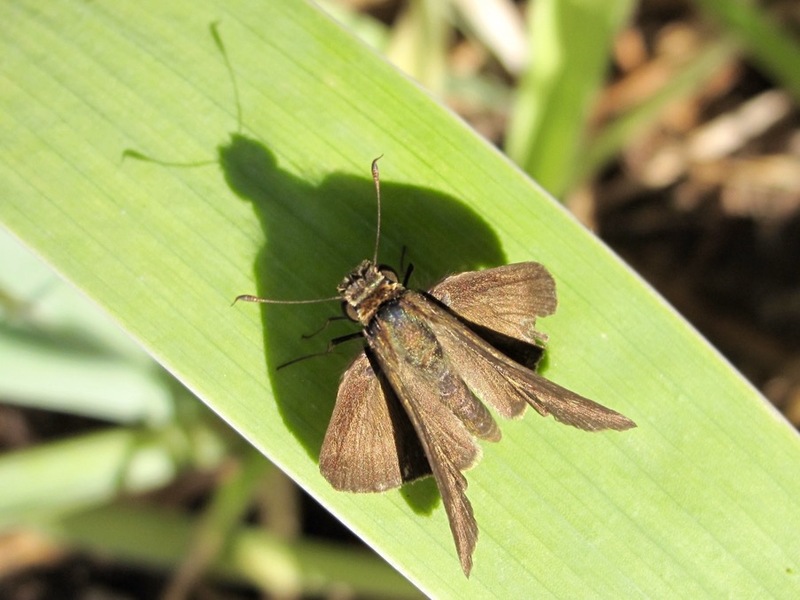 Speaking of iris leaves, this little skipper was perfectly content to sit on one in the early morning sun today. Bees were everywhere this morning. This Rudbeckia hirta ‘Irish Eyes’ was knocked down by wind a couple of weeks ago and I propped it back up as best I could. The bees do not seem to mind that the huge stalks are still leaning. 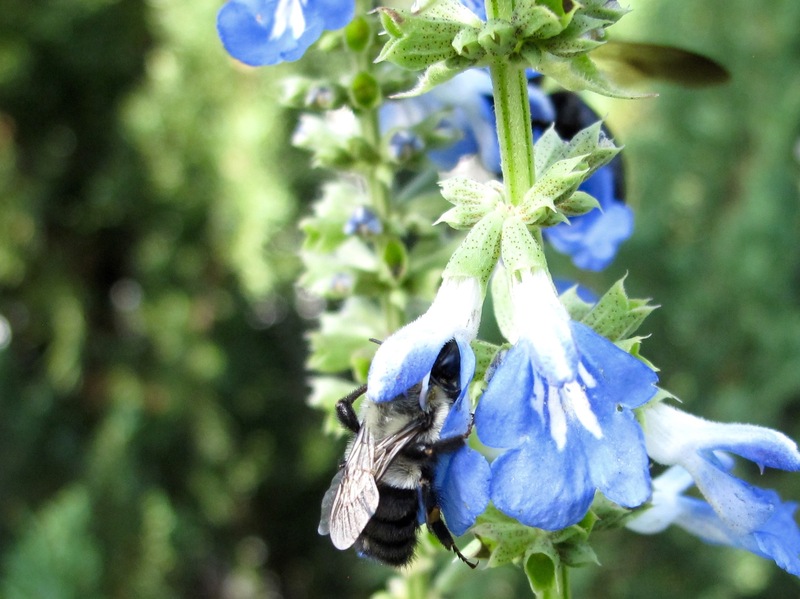 Blue Sky salvia has its own admirers. 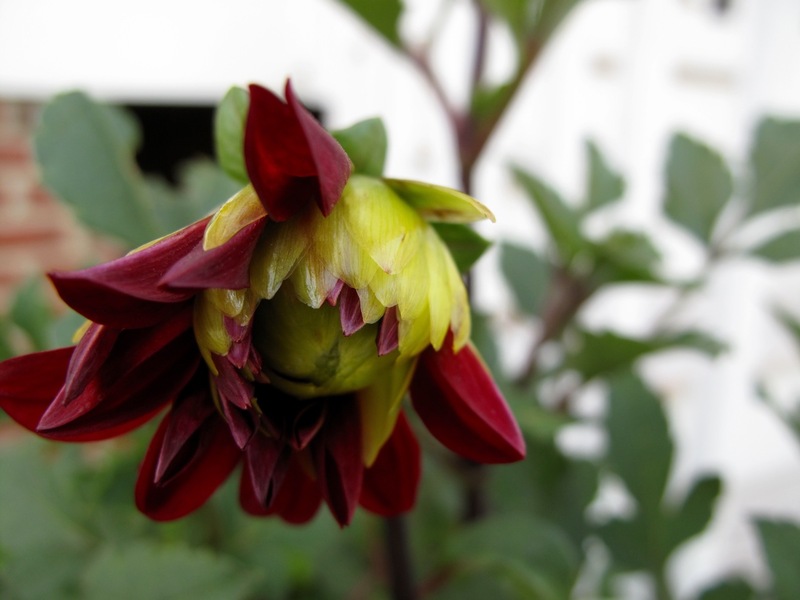 Next to the back steps the first dark red flower has opened on a passalong dahlia from Libby at An Eye For Detail. Last year was the first time I really took an interest in growing dahlias. The one planted late last summer overwintered but has yet to bloom. This spring I bought tubers of several red and purple dahlias and I hope they will carry the garden through the summer and into fall. 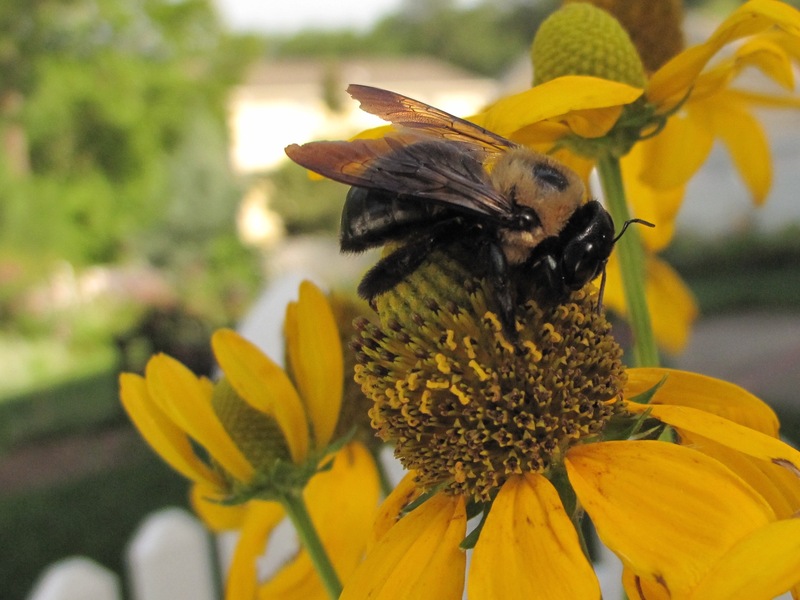 This entry was posted in garden and tagged bees, Cleome hassleriana (Spider Flower), Digitalis purpurea ‘Camelot Rose’ (Foxglove ‘Camelot Rose’), Echinacea purpurea (Purple Coneflower), garden almanac, meditation circle, pass-along plant, Phlox paniculata (Garden Phlox) on July 11, 2015 by pbmgarden. Gorgeous! 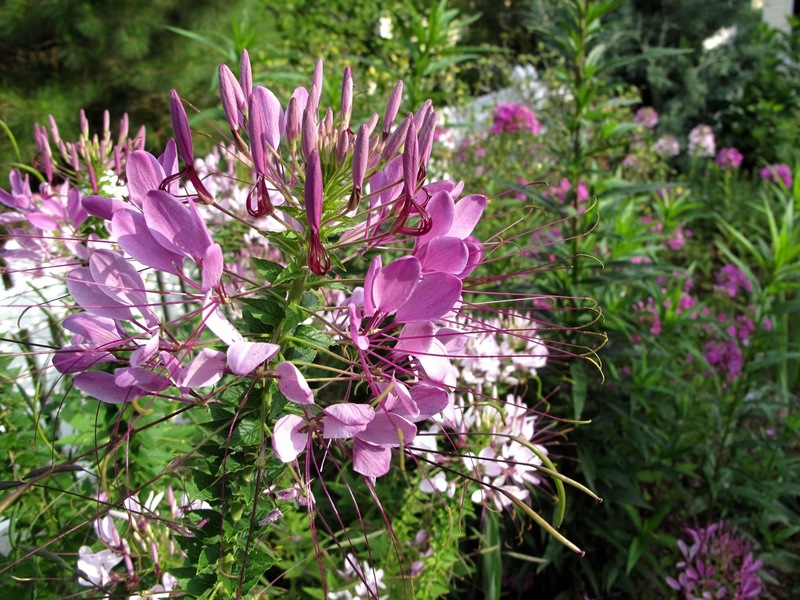 So sorry your new Phlox succumbed to the heat. Perhaps its roots will survive and try again after the heat passes. Isn’t it amazing how tough many plants prove to be despite the weather? Your garden plan is lovely with the Thyme and Angelonia. Thanks, I do hope I can nurse the phlox back. Many plants are indeed tough though this kind of weather, sometimes edging out the things I really prefer though. Haven’t been to Williamsburg in 2-3 years. Love it there. We’re hoping to make it in Sept.
Late September or early October are lovely here . Love your photo album; you did such a wonderful job of capturing what makes a summer garden so special. Thanks Charlie. For the last few summers I’ve just given up on the garden until fall, but following it through this summer has been rewarding. Hopefully the heat will abate soon (or at least add some rain to the mix). 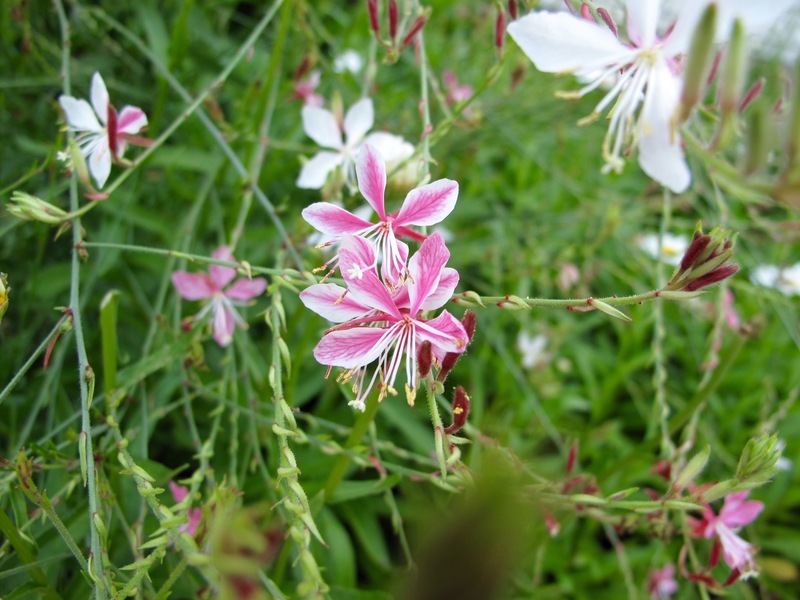 The gaura are stunning! Hi Matt. rain would really help. I guess Gaura really enjoys life when it’s hot and dry. Wonderful walk through your garden. Thanks for sharing! Thanks Benjamin. Glad you enjoyed seeing my little garden. Looks great. Surprised that the Angelonia looks so happy – I thought they didn’t like hot weather. Glad the blackberry lily bloomed for you, it’s a really stunning flower. I have one that was planted by the birds. Well, gosh, your birds are very helpful bringing you a blackberry lily. I’m going to work that into my bird feeder contract when it’s up for renewal. 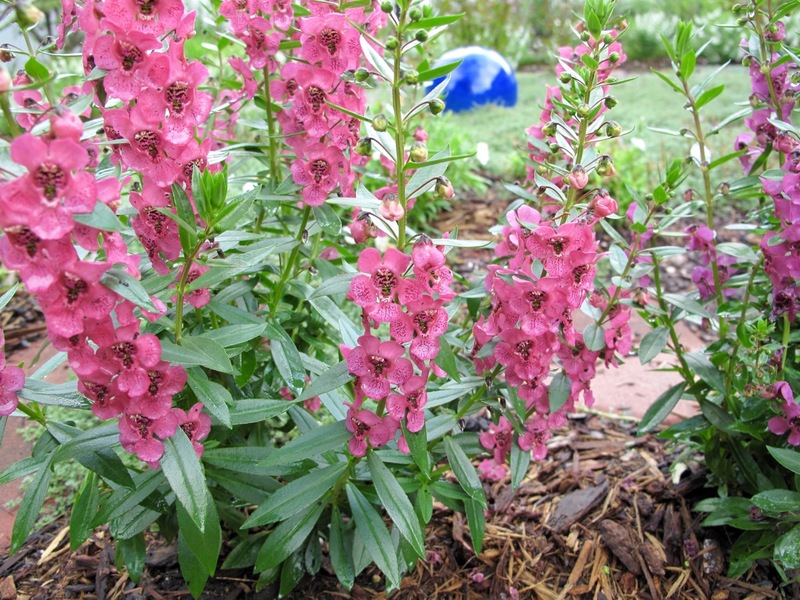 Actually, Angelonia loves the heat and can tolerate drought. That makes it perfect in my meditation circle. Remember two summers ago when it wouldn’t stop raining? Boy, I’d like to have some of that moisture now. I watered all day yesterday and it looks like we have another hot and dry week ahead. All things considered, your garden looks great. I’m especially surprised the Angelonia is doing so well. I like the blackberry lily, I haven’t come across that one before. We are experiencing the same hot weather as you. It feels too hot to do anything. The window between when it gets light and 9 am is very short to achieve everything I want and need to do in the house and garden. You are still finding lots of good flowers. I look forward to seeing how you use all the dahlias in a vase soon. Hi Christina. 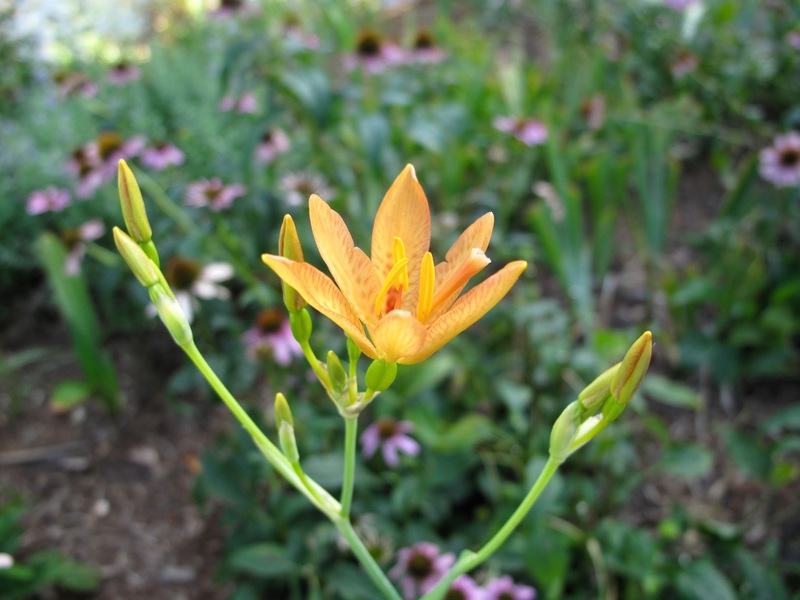 I thought the blackberry lily would be a darker orange with red spots but this seems more apricot in color. I’d only seen it in catalogs before. And yes, after 9am it’s pretty much too hot to enjoy being outdoors. You must have come home to lots of things wanting your attention. Hope you’ve caught up on your rest as well. After spending this weekend at the sea I feel rested, but I still have lots of washing to do and the garden needs several things but I’m just concentrating on seed sowing for things that didn’t get sown before we left for our holiday and harvesting the crops – a major task. We have a terrible drought here and I’m so tired of spending hours watering but can’t bear seeing things die. Phlox would never survive here, they’re so thirsty. Love your insect pics and thanks for introducing me to Angelonia which I didn’t know. Annette, hope you get some nice rains soon to give your plants and you some relief. I woke up to a huge show of thunder and lightning but very little rain. Love your garden tours and photos! We had quite a spate of rain last night…what a wonderful sound. I don’t know if it was enough to slake the thirst of the plants, but it did wonders for our psyches. 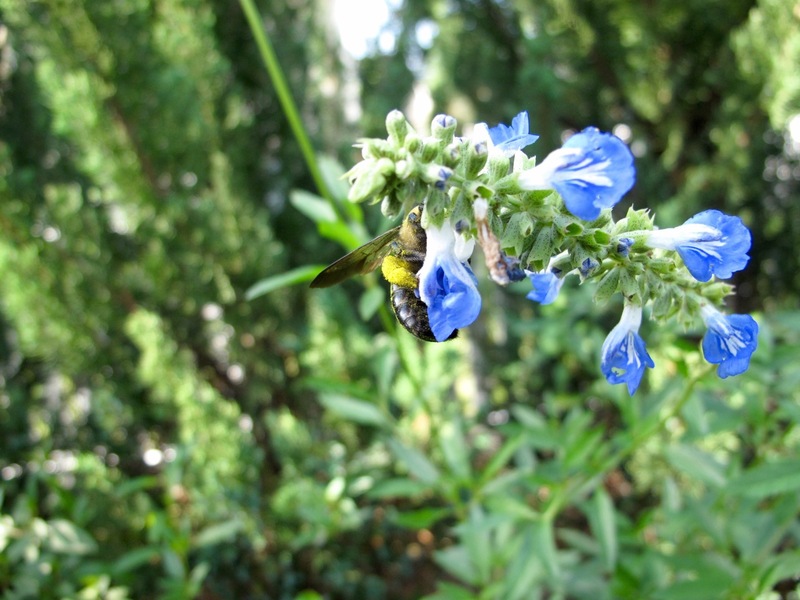 Your garden is looking lovely and making the bees happy (you too?). Yes, I’m actually happy with the garden this summer. Usually by now I have given up on it until fall. Wonderful you had rain. Who knew rain could be such a thrill? I know what you mean Rickii. We had a boisterous thunderstorm early this morning and it rained at least as much as if I’d watered. 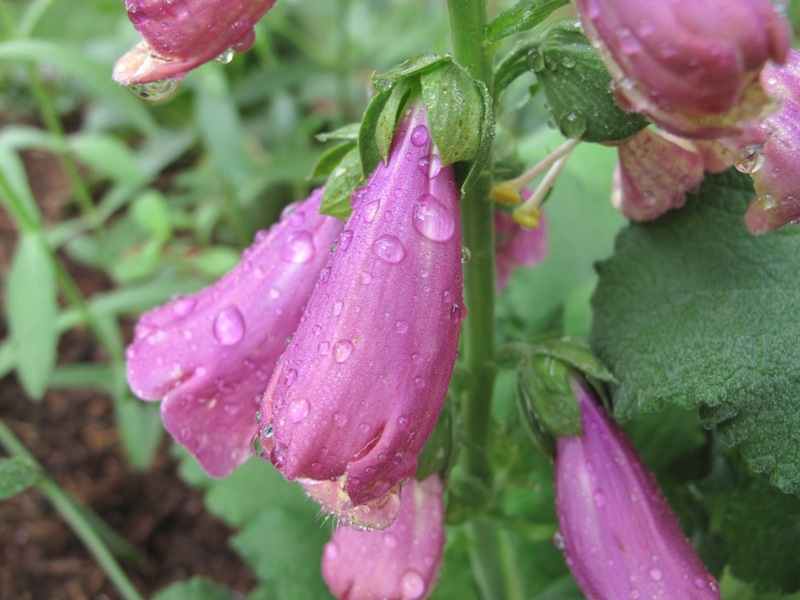 We are needing rain here too….the garden is looking gorgeous though and love the Meditation Circle with the Angelonia. Hope you get rain soon Donna. I walked with a friend this evening who lives 30 minutes away. She got 3 inches of rain Thursday. We had just a small shower. Today the garden was wilting so I’d better water in the morning.